A bold and exciting literary novel that contemplates the elusive line between truth and self-perception. Ambitious and assured, "Absolution "propels the reader to the final page in a drive to discover the secrets and truths at its core. How or why did a young antiapartheid activist disappear twenty years earlier? How does that event link the present-day characters? And how does it explain the choices they have made or the lies they may tell themselves? 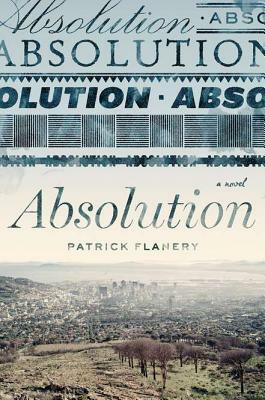 Set in contemporary South Africa, "Absolution "is a big-idea novel about the pitfalls of memory, the ramifications of censorship, and the ways we are silently complicit in the problems around us. It's also a devastating, intimate, and stunningly woven story. Told in shifting perspectives, it centers on the mysterious character of Clare Wald, a controversial writer of great fame, haunted by the memories of a sister she fears she betrayed to her death and a daughter she fears she abandoned. Clare comes to learn that in this conflict the dead do not stay buried, and the missing return in other forms such as the child witness of her daughter's last days who has reappeared twenty years later as Clare's official biographer, prompting an unraveling of history and a search for forgiveness. Patrick Flanery is an exhilarating new writer, and this is a masterpiece of rich, complicated characters and narration that captures the reader and does not let go. Patrick Flanery was born inCalifornia and raised in Omaha, Nebraska. He received his doctorate from the University of Oxford. Helives in London."